The Mos SID 6581 (Sound Interface Device) is the soundchip for the 8-bit Commodore 64 (C64) computer. A real revolution back in the days, it can output 3 digital voices and analogic filters which can create really new sounds. 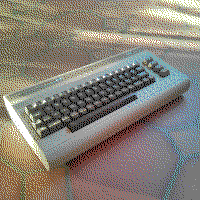 The 6581 was updated to the 8580 chip in later C64.